Delegation has departed from Israel and is expected to land in Brazil within 14 hours to assist with search and rescue efforts. The delegation consists of approximately 130 IDF soldiers and officers in mandatory and reserve service from the Home Front Command. Amongst them are engineering experts, doctors, search and rescue teams, firefighters of the Israel Fire and Rescue Services, soldiers of the Israeli Navy's underwater missions unit (YALTAM 707), representatives of the Foreign Ministry and the Israeli Ambassador to Brazil, Mr. Yossi Sheli. Last November, the "INSARAG" test was completed, in which the Home Front Command's National Search and Rescue Unit was found qualified and joined a limited and prestigious international community of search and rescue units from around the world. 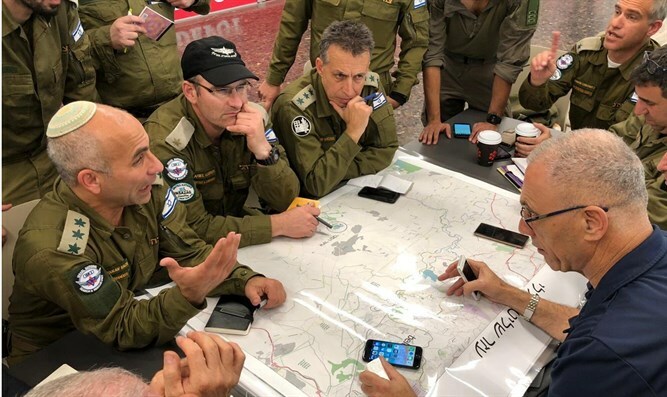 The IDF said that it and the State of Israel "will continue to assist in the aftermath of any disaster around the world that requires its experience and capabilities."